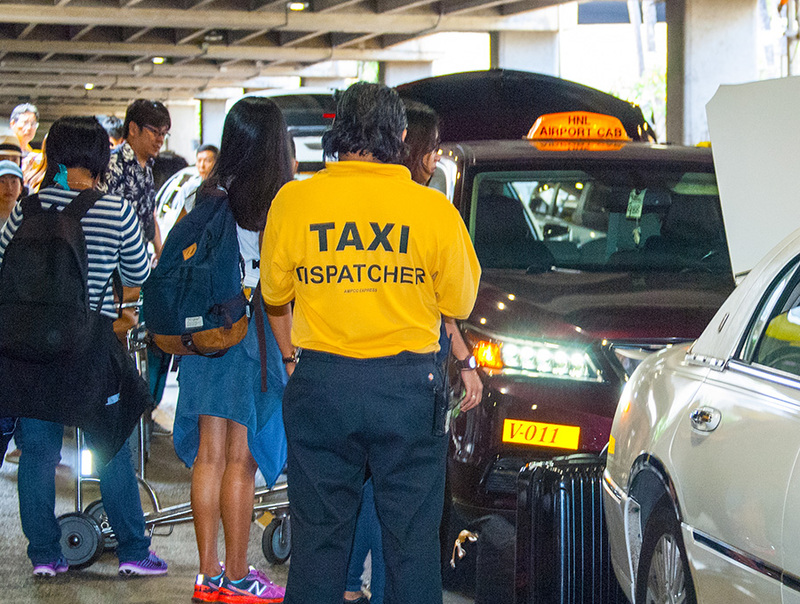 AMPCO Express is the managing contractor of the Airport’s Open Taxi System at Daniel K. Inouye International Airport. 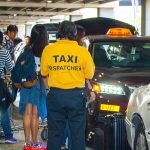 The state established this Airport Open Taxi Management system so taxi drivers from all taxi companies would be able to pick-up passengers at the airport. Taxi Service is available on the center median fronting the terminal baggage claim areas. See the taxi dispatchers (yellow shirts with black lettering, and the wording “TAXI DISPATCHER” for service. The fare from the airport to Waikiki during non-rush hour periods is approximately $40.00-$45.00, plus a baggage charge of 50 cents per bag. Fare is by meter only.